Vote for Glorious Organics Co-operative to win $25,000 in the National Co-op Challenge. 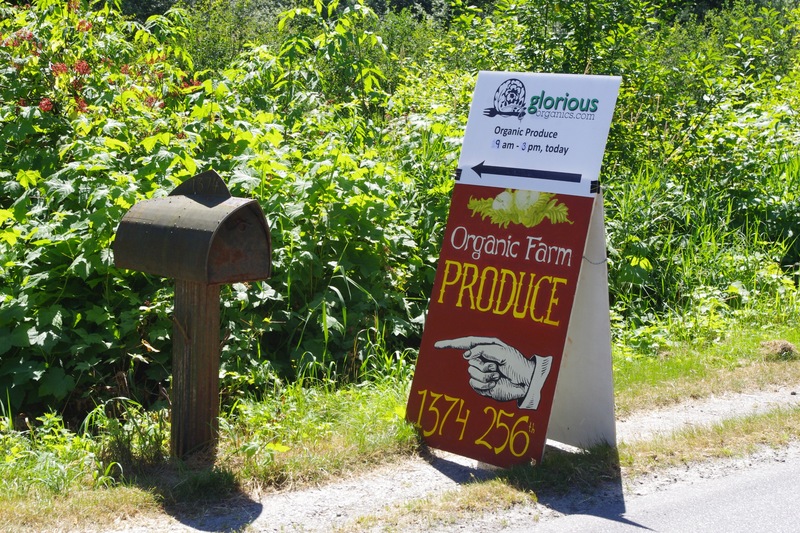 Fraser Common Farm, CCEC Member, is a community farm of which Glorious Organics is the farming co-operative. The Farm has been cooperatively owned and managed for more than 30 years. Go to the Voting page and sign up to receive voting reminders. Help them to win $25,000 that will be used to build a new education centre. Fraser Common Farm offers a unique balance of food production, habitat conservation, communal & individual housing, and a sincere desire for long term sustainability – this is a social and community experiment, a work in progress, and a dream come true. They care about the food they grow, and the land upon which they live. They have composting toilets throughout the farm and in some of their homes. They grow organic food – including pre-cut salads, vegetables, culinary herbs, edible flowers, and some fruit. And the food tastes really great. Conversations for Responsible Economic Development (CRED) is a great source for information on the BC economy and proposed mega-projects. The CRED research provides an important resource to CCEC as we assess the Kinder Morgan proposal for the Trans Mountain Pipeline. In particular, CRED observes that the oil and gas industry is only a small part of the BC economy (Gross Domestic Product) and unlikely to generate significant sustained employment gains. The CRED Blog and newsletter are great public resources. Apply to the 7 month leadership program that gives young adults the skills and tools needed to become effective leaders in movements for social and environmental change. Are you concerned about things like climate change, poverty, public health and education, housing and government policy? Do you believe that global and local issues are connected? Do you feel that our economic system is focused on profit at the expense of people and the planet? The application deadline for Next Up BC is September 19, 2014. The program runs between October 2014 and May 2015. Visit: http://www.nextup.ca/how-to-apply/ for more information. Next Up is co-hosted in BC with Canadian Centre for Policy Alternatives (CCPA). Next Up was created by a community of people who wanted to help emerging leaders develop new and better skills, smarts and ideas. The program is intense. Over seven months, we’ll dive into a number of topics and disciplines, combining theory, practice, deep thinking, and hard skills. We’ll look at some of the most pressing Canadian policy issues, with a focus this year on climate change. We will consider where “progressive” thinking is on these issues and how to solve them. We’ll look at how change is made in society. And we’ll meet some of the most innovative change-makers in the province — from the non-profit, labour, business and public sectors — who are working for a better world. The Canadian Centre for Policy Alternatives is seeking proposals for papers on the subject of job creation, with an emphasis on constructive interventions - environmentally and socially. The invitation is in preparation for a a mini-conference that CCPA-BC, BC Federation of Labour and the Progressive Economics Forum are holding on Nov. 21, 2014 – A Good Jobs Economy in BC. Proposals are requested by September 8th, one page only! • What does modern industrial policy look like?